This is a special 6-week editorial series called “LifeEDU” sponsored by Coca-Cola’s #FortheDream program, where we arm parents with tips & recommendations on how to take advantage of the summer period to positively influence the transition between high school to college…and beyond. 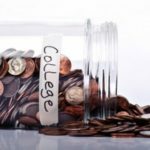 Yes, a college education is very expensive – even for public institutions – but the reality is that there’s free money available many parents and teens fail to tap into. In most cases parents don’t know these options exist, or may not have the time to research the many different options. Free money means that you don’t have to pay back loans, and often comes in various forms from scholarships, work & study programs, fellowships or grants. 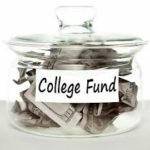 We have cut down the job for you by doing the web research to find all the ways – some known and some that get a little creative – that you can afford to send your teen to chase the college dream. Coca-Cola’s #ForTheDream program inspires and empowers Hispanic teens and families to prepare, plan and pay for college education. The program will award one college tour experience and thirty-four $500 grants via the #ForTheDreamSweeps sweepstakes to help cover education expenses. To enter the sweepstakes participants can post a selfie with someone who is helping them achieve their college dreams on Twitter or Instagram, and tag it using the hashtag #ForTheDreamSweeps. A My Coke Rewards product code can also be submitted as an entry on the website: http://Coke.com/ForTheDream. 1. NCAA Scholarships: provide more than $2.7 billion in athletics scholarships annually to more than 150,000 student-athletes. 2. Bizarre Scholarships: You will be amazed at these opportunities for free money. Have a specific surname, are you tall or short? Yep, there could be a scholarship for you. See a list of 25 HERE. 3. 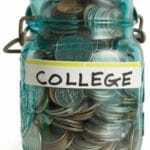 Search for many other scholarships in these free online tools: go.salliemae.com/scholarship/ , Scholarships.com and FederalStudentAid. 9. Mentorship for Environmental Scholars Program: rising sophomores, juniors, and seniors who are underrepresented in STEM and other related disciplines. 11. Federal Pell Grant: open to undergraduate students depending on financial need, the cost of school of choice, and other variables. 19. Private investor/private sponsor: This is a common practice in Europe, but not so much in the USA, where students mainly look for “scholarships,” but visit Lumni.net, does operates in the USA and Enzi, launched a pilot program in Stanford in 2010. 20. Organizations and professional organizations: groups like the Association of Information Technology Professionals offer student member scholarships, while the Public Relations Student Society of America offers more than a dozen scholarship competitions for undergraduate and graduate students on the field. 21. 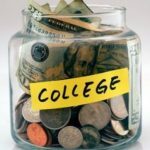 Tuition-Free Colleges: Yes, they do exist (some in the USA) for those who qualify, like Barclay College and Moody Bible in Chicago (both Christian institutions). 22. Study Abroud: There are countries outside of the USA, like Norway, that offer free or partially-free college tuition (even for foreigners!). You can find a list HERE. 24. GiveCollege: a comprehensive platform helping families afford college through education, tracking, and individual and community fundraising opportunities. 25. GoFundMe: ask your friends, family and the community to help with the cause. The site charges you 5% of the total funds raised. 26. Employers: Companies like Coca-Cola and others all offer Tuition Reimbursement Programs for active students, depending on the chosen degree. 27. Serve Your Country: The Air Force, U.S. Cost Guard, Air Force, Merchant Marine, Military, and Naval Academies: Offer free college tuition after serving. Also, the GI Bill provides educational assistance to service members, veterans, and their dependents. 28. Universities: Even if you don’t get the full tuition, you can get partial by working on-campus. 29. Parent as a Teacher: Some colleges offer free or partial tuition for children of current teachers. Our top advise? Before you – or your teen – accepts that student loan, make sure you have exhausted all possibilities to find FREE money. Do you know about other opportunities for free money that we missed? Please share in the comments below. This entry was posted in College Prep, For Mothers & Tias, Parenting Teens, Raising Tweens, Teaching & Education Tips, Videos and tagged #FortheDream, Coca-Cola, College, college prep, Hispanic Scholarship Fund, LifeEDU. Bookmark the permalink.